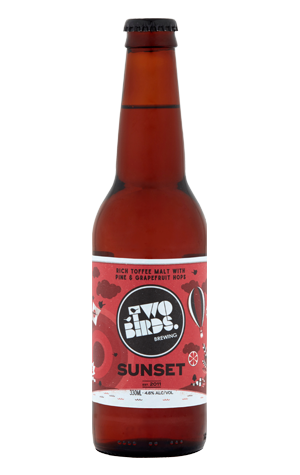 An instant favourite at Crafty Towers as soon as it arrived on the scene as the second Two Birds release was this red ale going by the name Sunset. Drinkers are first met by a rather enticing combo of tropical and citrus aromas, backed up with a touch of toffee that hints at the rich malt flavours to follow. Full-flavoured and pretty full-bodied too for a beer of its alcohol content, it's a well balanced take on the style that's a versatile food beer and also a drop we've used to entice newcomers softly towards the world of darker drops.